WHEN MARIA VARGAS, 33, MOVED TO JACKSON, WYOMING, 14 years ago, skiing was the last thing on her mind. Born in Mexico and raised in St. Anthony, Idaho, she simply intended to work and bring up a family. She took on various service jobs before landing an assistant manager position with the local hospital. Though surrounded by mountains, Vargas, who became a U.S. citizen five years ago, never thought about skiing. It wasn't part of her world. Then one day at school, her son heard about a way he might be able to go skiing, like so many of his classmates. It was called the Doug Coombs Foundation. Vargas didn't know who Doug Coombs was, but she looked into it, and discovered he was a famous skier who died and that his wife, Emily, was trying to help children from low-income families learn how to ski. Soon enough, her son, Jordan, and daughter, Michelle—after qualifying through an application process largely based on income level—were skiing two days a week at Snow King Mountain, with the foundation providing free equipment and lessons. Deyna Lira, 11, confidently explains how skiing, through the Doug Coombs Foundation, has improved her and her family's lives. 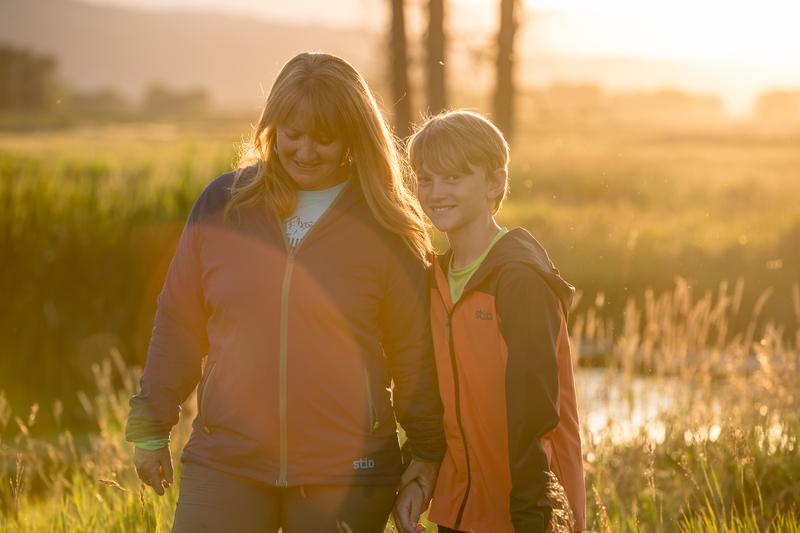 Her kids liked it so much—Jordan, now 11, graduated from the foundation three years ago and joined the 78-year-old Jackson Hole Ski Club (half of his club membership is funded through a scholarship, the other half from the foundation)—that Vargas decided to go skiing for herself. She took the slow double chair all the way to the summit of Snow King, which has panoramic views of the entire Jackson Hole valley. "Seeing that view, I cried so much," Vargas told me during a fundraiser for the foundation last winter at the base of the hill. "I'd been living here for 14 years and never had the chance to go up there and do it. If Emily didn't have the idea to do this, I don't know if we could afford it." Ten years after Doug died in a fall in La Grave, France, Emily Coombs—once a globe-trotting steep skier deeply intertwined with the apex of big mountain skiing—is now the most influential figure integrating Jackson's growing Latino population into skiing. In 2012, she launched the Doug Coombs Foundation under a specific philosophy: Skiing not only improves the lives of the impoverished, it strengthens the community by bringing everyone together. 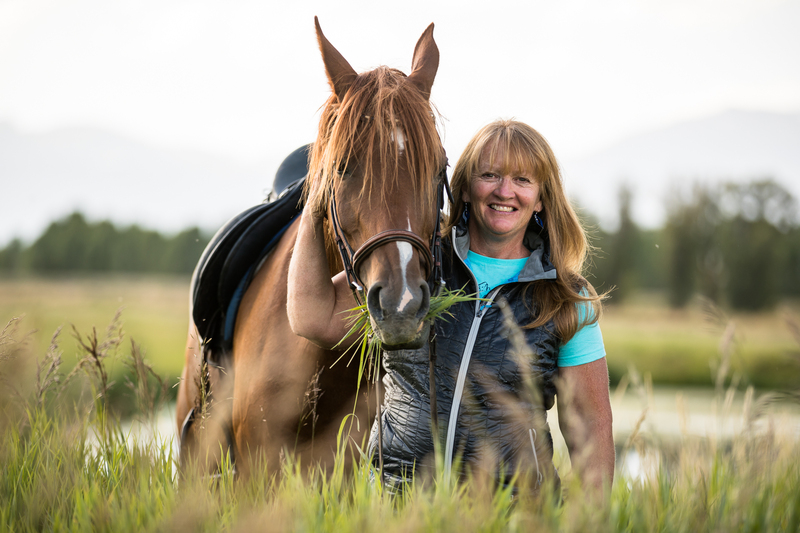 That night in January represented a significant milestone in that direction, as Emily—a feisty, fiery redhead with bad knees who's missing her right index finger thanks to a mishap with a horse—raised $22,000 to put toward gear and ski lessons. But she found equal success in having the kids and parents in her foundation mingle with several of Doug's old friends, grizzled ski partners, and former Olympians. "I'm really lucky to have a family like mine and also to meet someone like Emily Coombs," Lira continued. "Thank you, Emily, for changing my life, in a good way, not just for me but most of my family, too. This speech is dedicated to Emily Coombs, who is my hero." "She's like a Doug horse," Coombs says of her Arabian, Sahara. "She doesn't want to kill me. She just wants to push me." TO WALK WITH EMILY COOMBS is to be taken on a journey through skiing's highest level—from the inaugural extreme comps and pioneering heli skiing in Alaska to hosting steep-skiing clinics in Jackson, Verbier, and La Grave. While Doug was the charismatic leader of an entire generation (the late Theo Meiners called him "the tip of the spear"), Emily kept it all afloat through her business acumen and realism. When Emily, 56, talks about Doug today, she lovingly jokes about his shortcomings. Which is something you never hear, especially in Jackson, where the man pretty much walked on water. But for the woman whose relationship with him spanned numerous states, two continents, and 14 years before they got married on January 17, 1994, all is fair game. "I met him four months after being in Montana," she recalls of her college days in Bozeman with a smile, "and that's when my life fell apart." Born to Richard and Kathleen Gladstone, Emily was raised in an upper-middle class suburb of Boston. When she was 7, her dad got her skis for Christmas. Her first run was in the backyard. "When I got on skis," she says, "I remember thinking, This is it." Right after September 11, 2001, as Emily and Doug were climbing in City of Rocks, Idaho, to cope with the news of the terrorist attacks, her dad suffered fatal injuries in a car crash. "On my father's deathbed, I talked to him about skiing," says Emily. "If I hadn't skied with my father, I never would've had that connection." While Doug was the charismatic leader of an entire generation, Emily kept it all afloat through her business acumen and realism. 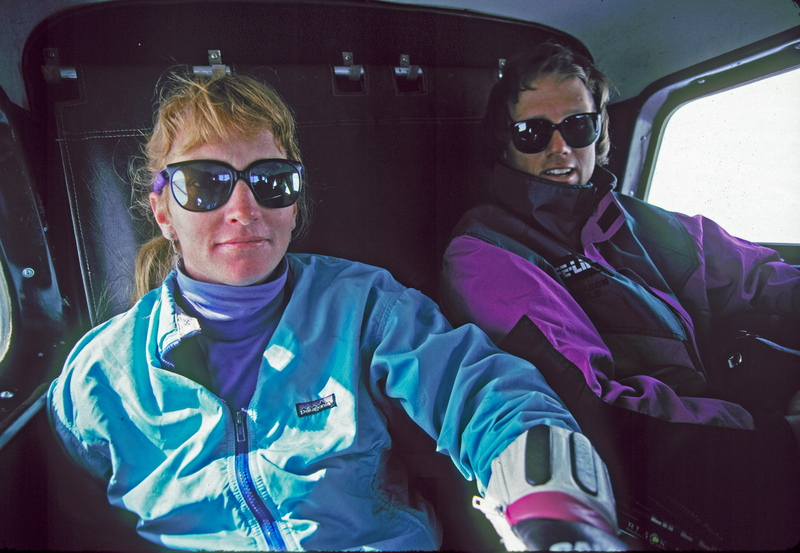 Her mother, Kathleen, didn't ski, yet influenced Emily in ways that still resonate. Through a nonprofit that has served to desegregate Boston public schools since the 1960s, Kathleen would bring children who lived in the inner city to stay with the family at their home. In 1979, Emily, who called herself a tomboy that didn't fit in with her peers in suburbia, enrolled at Montana State University to study photography. She soon started skiing at Bridger Bowl and raced for the school's B-team. Which was how she met Doug, who, also from suburban Boston, was a top collegiate racer for MSU. "He went off a jump and landed at my feet, and I thought, 'What a kook,'" she says. They began dating, but their relationship was inconsistent. Emily's path through college changed when her ski coach introduced her to Darwon Stoneman and Onno Wieringa (now the general manager at Alta), who'd started a rafting company near Glacier National Park and needed someone to shoot photos for the customers. Learning business skills and photography, she dropped out of school and worked on the river taking pictures of rafters for nine seasons. Thus began her life of following her passion in the outdoors to make a living. 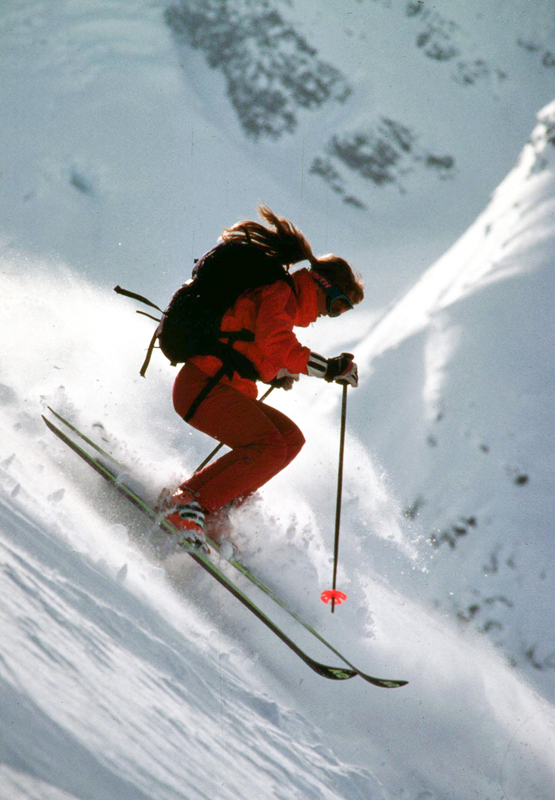 In the late 1980s, she used her summer wages to spend two winters skiing in Verbier. "Here I am, I'm single, I got money in my pocket, I'm going to Europe," she says. "So I went to Verbier, got an apartment, got a season pass. The night I decided to go to Verbier, Doug called me. He said, 'Why are you going?' He was living in Jackson and had a girlfriend. But he didn't want me to go. He tried to keep me here. I cried all night long because I was always in love with Doug. Two years later he came over to St. Anton on a film job, and I drove all night long from Verbier to be with him. We were with each other ever since." In the untouched Chugach Mountains, the potential for skiing virgin lines was infinite. Emily ran the books and rotated as tail guide. She also took the difficult job of telling Doug that he couldn't just take his friends heli skiing for free. In 1991, Doug, a rising star in Jackson, won the inaugural World Extreme Skiing Championships in Alaska. The following year, Emily won the women's title. 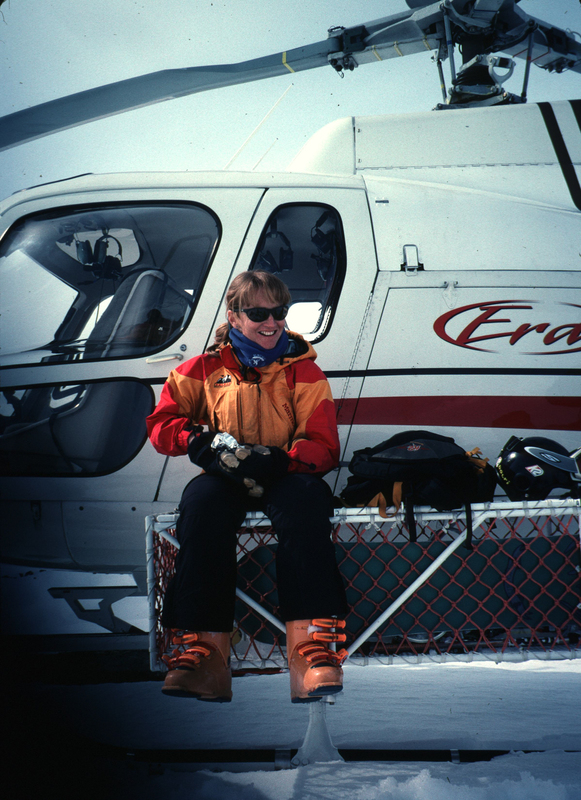 Doug repeated in 1993, the same year he and Emily launched Valdez Heli Ski Guides. Doug was lead guide and the face of the operation. In the untouched Chugach Mountains, the potential for skiing virgin lines was infinite. Emily ran the books and rotated as tail guide. She also took the difficult job of telling Doug that he couldn't just take his friends heli skiing for free. Meanwhile, they started a series of Steep and Deep camps at Jackson Hole, which ran until 1997, when Doug—the leader of the rebellious Jackson Hole Air Force—was kicked off the mountain for allegedly skiing out of bounds. Seeing their future dim in Jackson, Doug and Emily packed for Europe to open their camps in the Alps. "When he got kicked out, it was like, 'Let's go,'" she says. "I didn't really like Jackson. Everybody was like, 'Poach, dude.' What does that mean? Go to Europe. You don't have to poach, dude. You just go skiing." And so time moved on. Winters were spent in La Grave. Emily's favorite run was called the Couloir de Maisonneuve, which requires technical rope-work and high-consequence skiing. "It's just one of those couloirs that goes on forever," she says. The Skier's Lodge, in La Grave, describes it as "a free elevator drop of circa 1,000 vertical meters." In the spring, Doug and Emily went to Valdez, where they found the runs to be short in relation to those at La Grave. Summers and early winters were spent in Jackson, where Doug, after 2000, had been welcomed back under the resort's new open-boundary policy. When their son, David, was born, in 2004 in La Grave, their lives seemed complete. They got caught up in a life of adventure where they were the power couple sitting at the helm of the best skiing in the world. On April 1, 2006, at the height of the spring ski season in La Grave, Emily broached the subject of raising horses on their ranchland a few miles south of Jackson. It led to an argument because Doug didn't want to be tied down. Two days later, Doug died. EAST OF JACKSON HOLE, deep in the Wyoming wilderness, sits a cluster of high mountain lakes surrounded by wind-swept cirques whose rocky ridgelines look like whipped meringue. The lakes' emerald-green waters are so infrequently visited by humans that elk tracks pockmark the sandy shoreline. The trails are horse trails—dusty, buggy, 11 miles one direction. This is where Emily, a horse lover since she was a child, found solace in the aftermath of Doug's death. Riding a majestic, copper-colored Arabian named Sahara, she would do the 20-plus-mile round-trip in six hours. "Think about what she's accomplished: It's a sustainable foundation and it's been done through her force of will, and her desire to respect and maintain the memory of her husband. All those things are to her credit." "If you think about the global outpouring of grief of people who just knew of Doug," says Tim Petrick, a longtime friend and former president and CEO of K2 Skis, one of Doug's sponsors, "multiply that by a factor of 100 times more. He was her man. I don't know if I've ever seen anyone who took it that hard for that long, as Em." For five years, Emily didn't know what to do for work. She sold the ski camps and relied on support from K2 and Marmot, two of Doug's longtime sponsors. As David grew into childhood—tall, lean, blond, athletically gifted like his father—he began playing soccer. Many of his teammates were kids from Hispanic families, reflecting Jackson's changing demographic. David became fluent in Spanish through the dual immersion program at school, and today chooses to play in the Latino soccer league. During David's matches, Emily got to know his friends and their families. And the idea came. In 2012, she enrolled 28 kids in her ski program. Last winter, she had more than 180. "It's amazing that she pulled that thing through," says Petrick. "Think about what she's accomplished: It's a sustainable foundation and it's been done through her force of will, and her desire to respect and maintain the memory of her husband. All those things are really to her credit." "She, honestly, is a humanist," says Ellen Kappus, an ESL teacher at Jackson Elementary School and former board member of the foundation. "She translated all her grief into a positive thing. She looked around and saw the inequity." Kappus noted that, as a teacher, she has seen firsthand how getting kids involved in afterschool activities improves their performance at school. Skiing not only builds bridges in the community, she says, it helps children set themselves up for a better future, socially and academically. On a sunny Saturday in March, all of those kids and their families were at Snow King. Coombs hobbled around the snow on crutches due to knee surgery. On each hand she wore colorful parrot puppets, greeting families as they loaded the Rafferty chairlift. She and David had recently decided they wouldn't be attending a memorial scheduled in La Grave in April commemorating the 10-year mark of Doug's passing. It was a tough decision, but Emily said she didn't want to have to relive the accident. She preferred to focus on the future: her son, the foundation, their life in Jackson. At the bottom of the hill, Coombs welcomed every skier as they came in for another lap. Crutches, parrot puppets, and all, she smiled. Her red hair shined brightly in the sunshine. She looked at me and said, "Have you ever seen a group of people so happy?" This story originally published in the December 2016 issue of POWDER (45.4). Subscribe to “The Skier’s Magazine” today for just $14.97.